“It might take me a little time to find my way in this new season,” I whispered to Jim as we lay in bed last night. 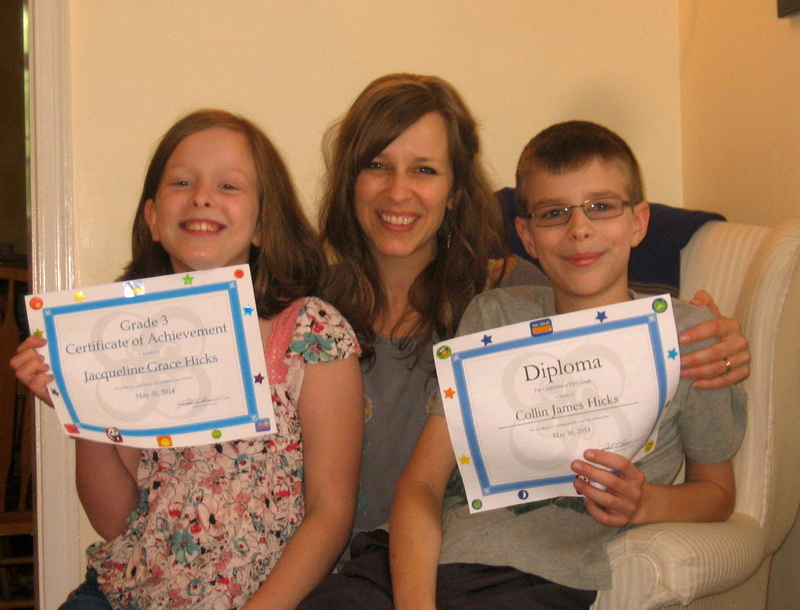 As of 11:30 yesterday morning, I am officially retired from seven years as a homeschooling mom. The unknown future is suddenly now. The bigness of it is startling. Even though I was watching it come, it came more abruptly than I anticipated, like goodbyes always do. One moment I’m working on decimals with my son, the next I’m handing out certificates and reading aloud the letters I’d written each of my kids, wiping away tears. After the ceremony in our living room, Jim and Collin went to build Legos together and Jackie said she wanted to have a little down time listening to music in her room. And there I sat, alone in the living room, wondering what do I do next? So I got on Facebook (yes, I’m admitting this, to my shame) to post about the end. That done, I sat in my chair and thought. And I realized that after an end comes a beginning. Now I begin to apply for part-time jobs. I begin to research grad schools that have good creative writing programs. I begin to work on my writing and networking more. I also begin to prepare the kids for their transition to “regular” school— teaching them about raising hands, working with other students, following a bell schedule, and finding others who share their love of learning. Over these next months, my role is going to change. Lying in bed last night, I realized that while I have certain ideas and hopes for what that will look like, there is so much I don’t know. “Are you scared?” Jim asked me. “No,” I replied. “Mostly excited.” And I think that was a truthful response. There are some butterflies and some little worries that nip at me like mosquitoes, but overall I feel light and charged up and ready. So here is a poem in celebration of launching out into the glorious unknown. lip of it, is cusp.